Health is a very vital issue. Today, we see so many people among us suffering from one or the other ailment. Out of all the diseases which are affecting mankind, heart diseases and kidney diseases are the most deadly. In this post, we will be speaking about the various kidney diseases and renowned Kidney specialists in Hyderabad. We have all heard about the iPhone-Kidney jokes stating how one will have to sell his kidney to own an iPhone. But have you ever thought that how it would really feel to live without a kidney? I see so many people in my own family being diagnosed of certain kidney diseases and stones in the kidney is the most recurring disease. Two years back, one of my close friend's Dad passed away due to a kidney transplant failure. The disease was so sudden that the news came as a shock to me. There was another recent case where a famous poet and friend's best friend on Twitter lost his life at a very young age due to a kidney failure. We live in a world where there is so much development that even diseases like Cancer and AIDS can be cured if they are in their early stages. The key is to choose the right diagnosis, get yourself a good doctor or visit a hospital which is known to have been an expert in that particular disease. Diseases are unpredictable. I have seen the ones who live the most healthy lives suffer from deadly diseases too so all I can say is maintaining a cleanly atmosphere and good health does help to an extent, but there are diseases which can still affect you. I have also seen people getting cured of deadly diseases with just a heart felt prayer and ayurvedic medicines. However, most of us prefer visiting doctors and I must say that it's the right thing to do as every big thing, starts with a small ailment! Ailments like chronic kidney diseases should be taken care of at the earliest as there are chances that both your kidneys stop working. So, the key is to visit a good nephrologist! There are many renowned Nephrologists in Hyderabad. We did a little research on Nephrology in Hyderabad and the results were spectacular! Dr Shree Bhushan Raju, Dr Kavitha Gone, Dr Nageshwar Reddy, Dr J.A.L Raganath, and Dr Ratan Jha are some renowned kidney specials in Hyderabad. I have enough shoes and dresses said no girl ever. 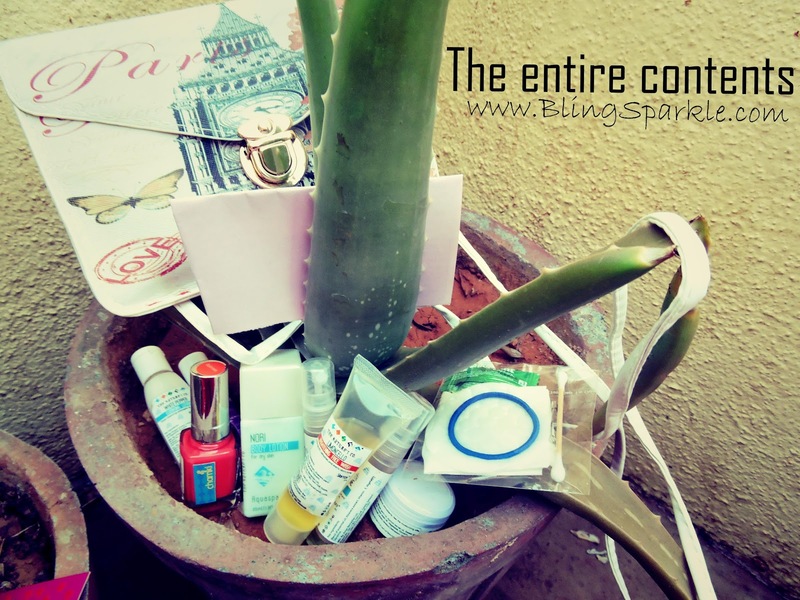 We girls just love splurging on shoes , there is nothing like the joy of finding the perfect pair of footwear which are both comfortable and stylish. The choice of footwear makes a loot of difference as it can both make or break your look so it is important that you choose a right pair which will bring the whole ensemble together. 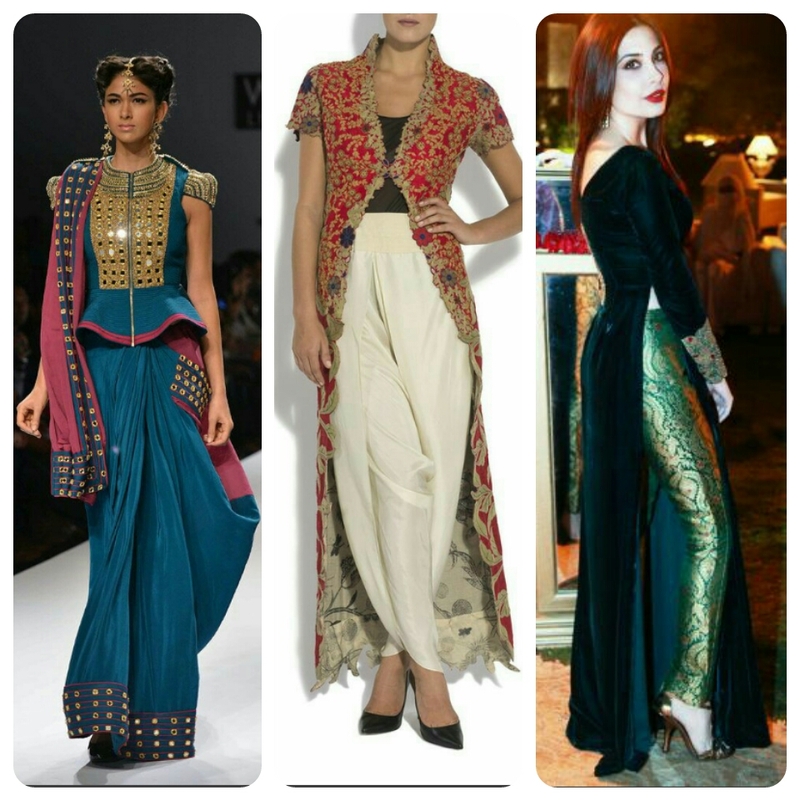 Indian wear especially the likes of a lehenga or a saree require a lot of effort in carrying them off and that is precisely why you should opt for comfortable footwear to stay at ease. 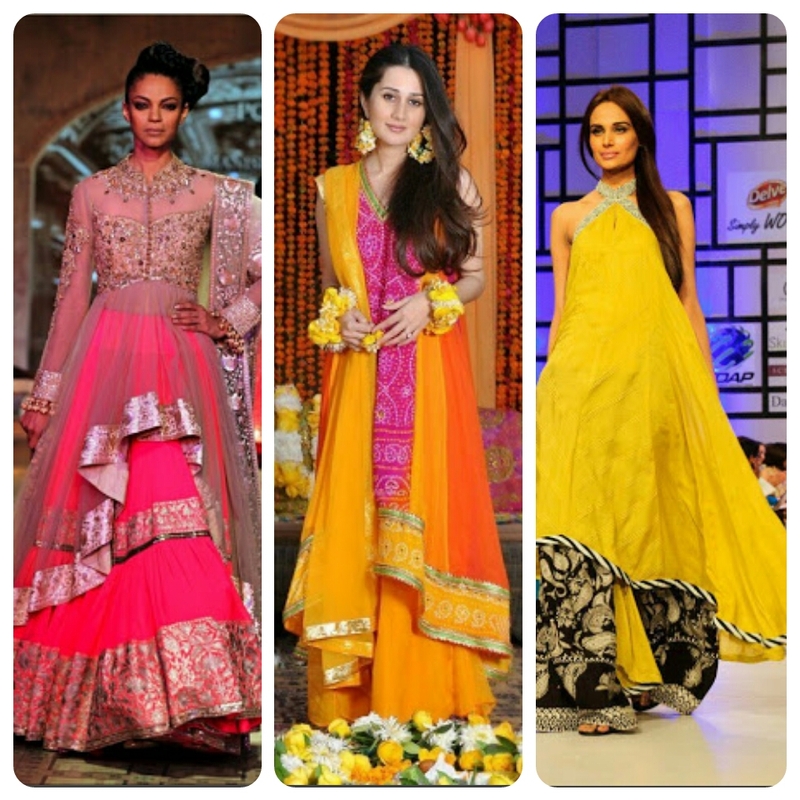 Most women opt for heels when it comes to traditional wear as it gives them the required height a lehenga or saree demands in addition to looking fabulous on the feet. But at what cost are you getting the height and style? It is important to strike a balance between style and comfort and ballet shoes bring you that perfect balance. If you choose a perfect pair ballerina shoes can give you comfort yet take your look to a whole new level. If you really want height choose for a pair with a small heel . Inspired by ballet slippers worn by ballet dancer Ballerina shoes are stylish , comfortable and versatile. 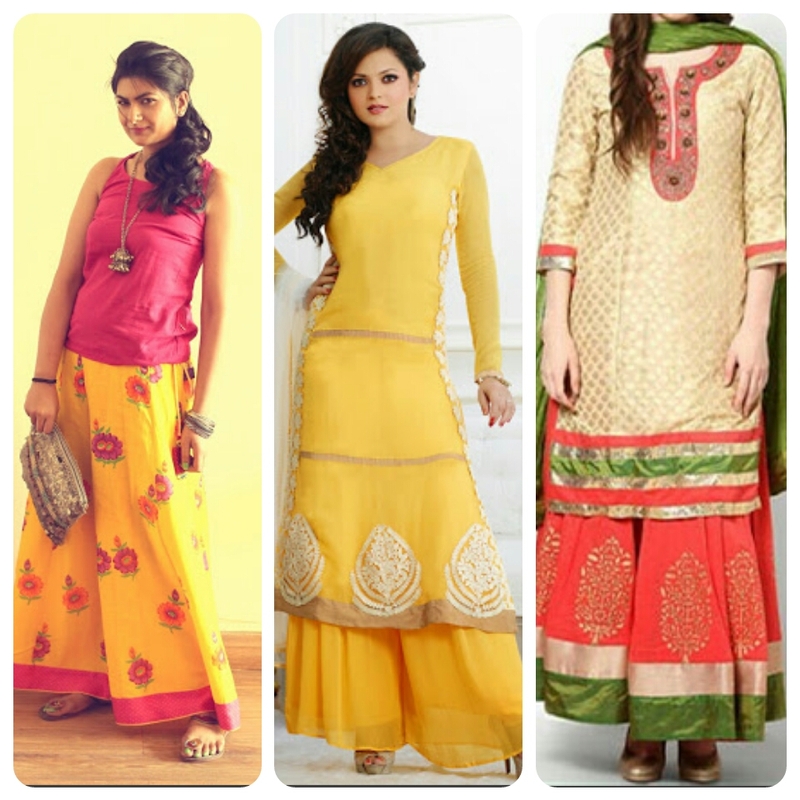 Mojris or juttis are the more indianized version of ballerinas and look amazing with kurtis, lehengas, chudidars, harem pants, sharara pants and even patialas. You can wear them all year round to any event and so these shoes are a fashion must have. If you are wearing Ballerinas for an occasion then wear something which stands out. Like a laser cut one or embellished ones. 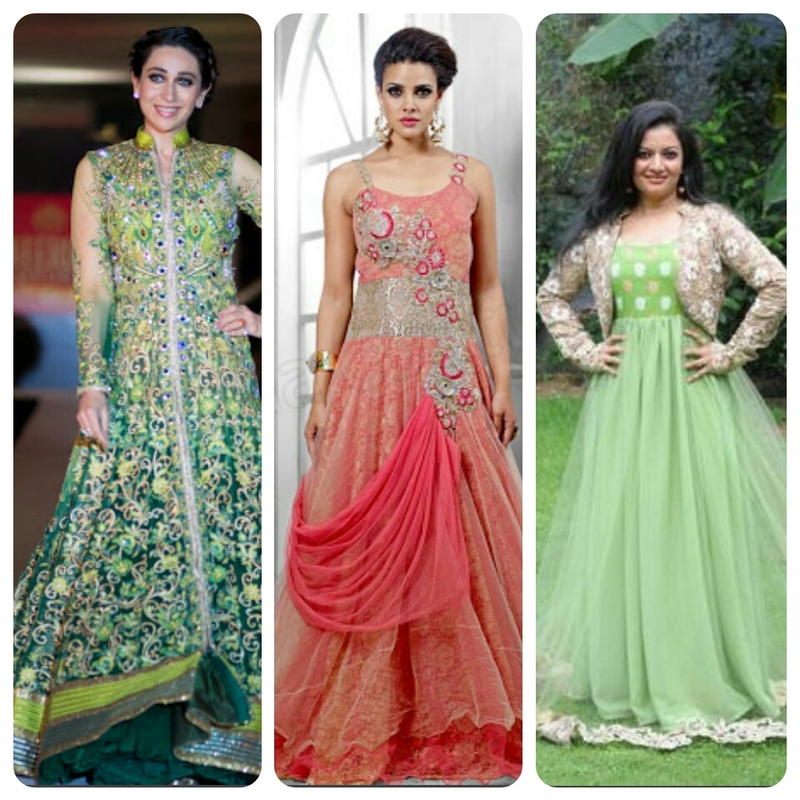 Embrace sequins and stones to bring in bling to your ethnic look at weddings. Always have long trails in your ballet flats as some of these shows tend to make feet uncomfortable because of fit issues. When it comes to fashion , accessories are as important as clothing and if you want to stand out from the crowd accessories are your best cost effective bet. Today i present to you some super simple yet versatile pieces of jeweler you should definitely consider adding to your jewellery stash. 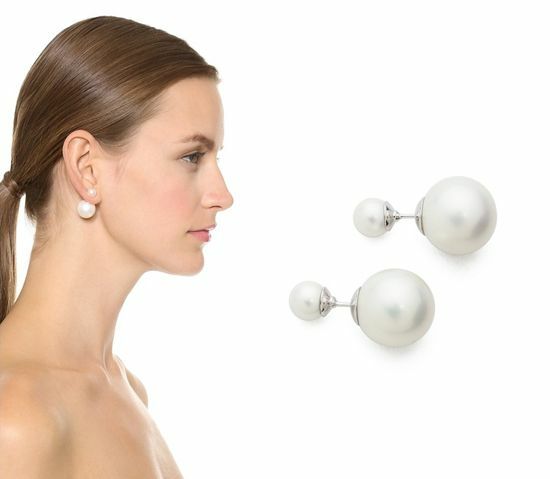 If you like studs you should consider trying out the new double side studs. These dual studs cover ur lobes from two sides as the small side comes in the front while the big one goes back . 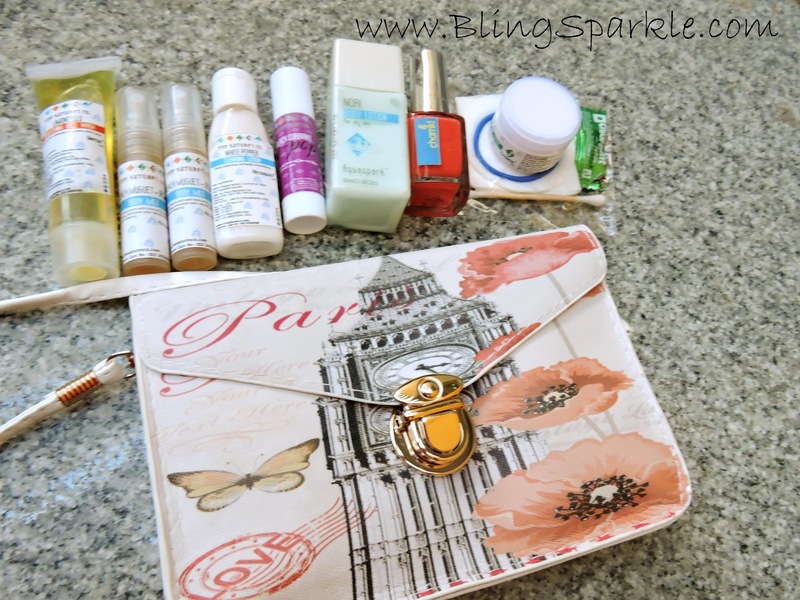 If you love pearls get the Dior dupes like now! This trend has been around for quite sometime now but i havent tried it yet. 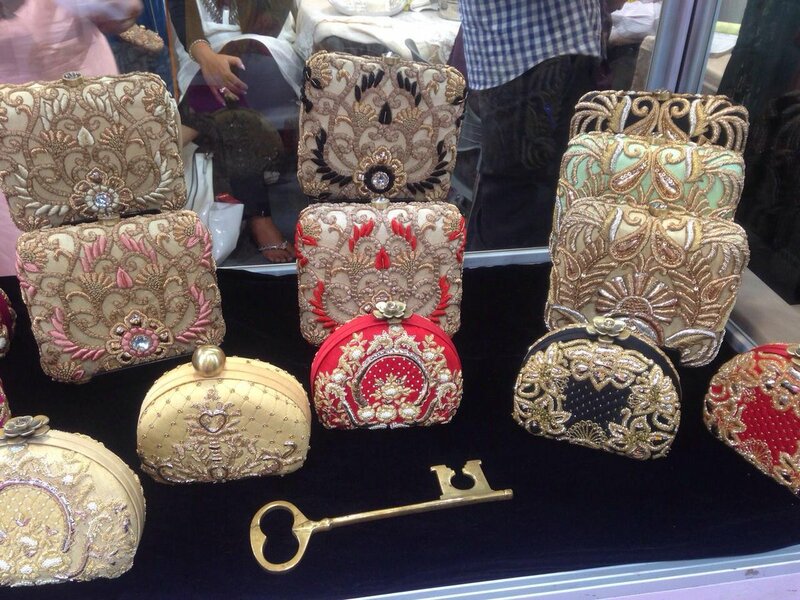 These cross body kind of chains worn over clothing definitely are eye ball grabbers and iam going to get one for myself soon. This is one interesting piece of jewelry you should invest in for a chic summery look. These chains go well with beach wear and formal outfits. There is a lot of variety available when it comes to chains, there is shoulder chains, full body chain, belly chains and more . If you are a beginner start off with a shoulder chain. 4.Head chains (hair jewellery): The head chains are the more modernized versions of matha pattis . 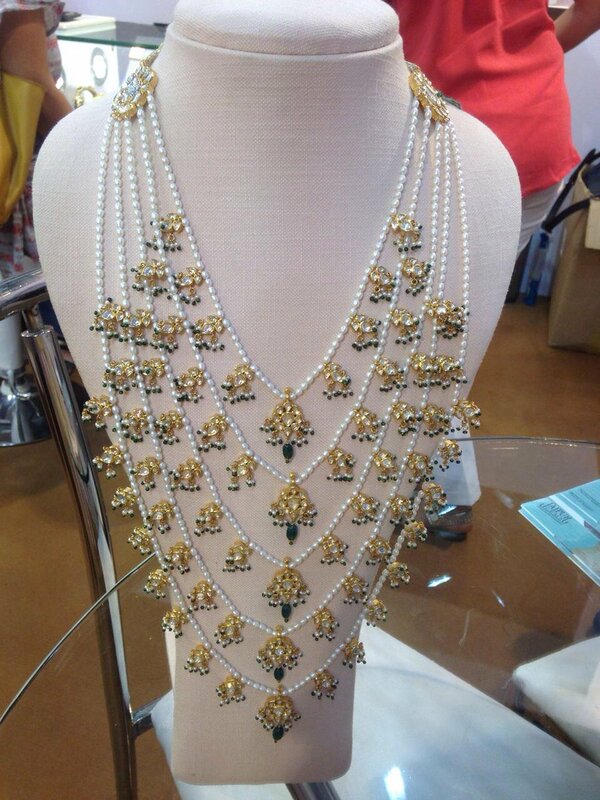 while matha pattis are kept away for wedding this simple chains can be worn even at non wedding dos. Depika padukone wore a heavier version of these head chains to an awards night made us sit back and take notice of this trend. 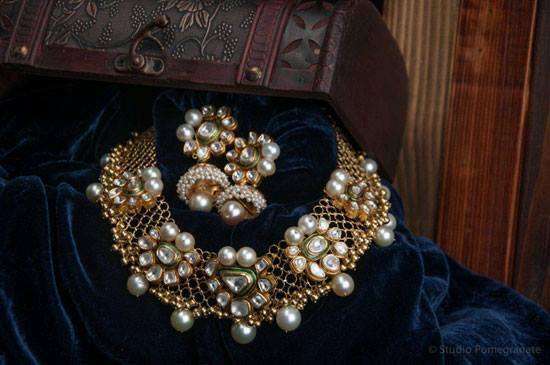 if you want to go for a fusion of western and ethnic wear this piece of jewellery can be your crowning glory . 5. Palm Cuff : Why should your palms be left out ? Bejewel them and stand out . Palm cuffs are more like palm rings which are pretty uncomfortable to carry off but who cares as long as you are grabbing eye balls. 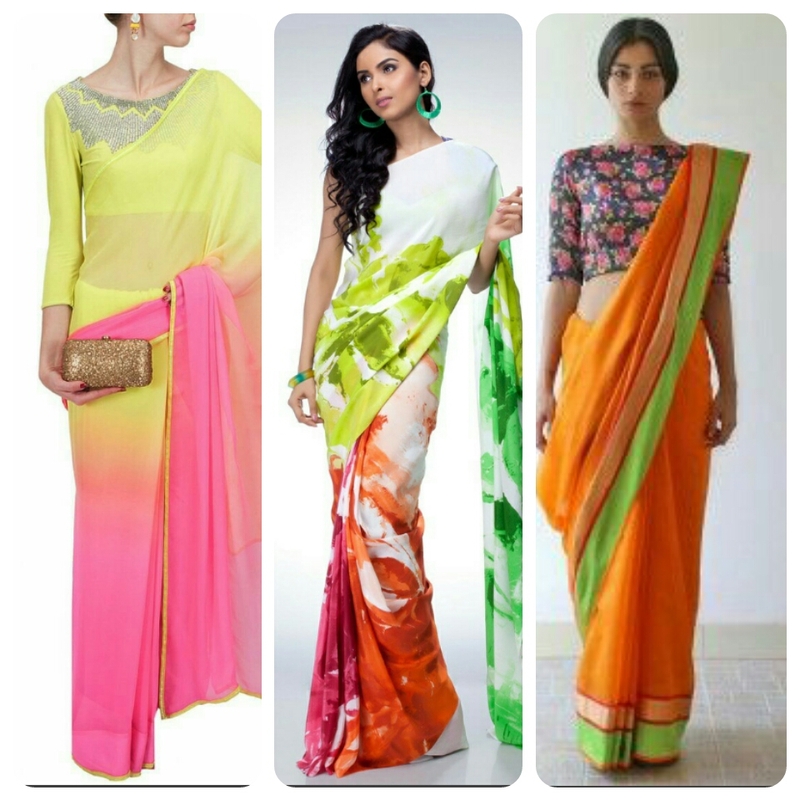 Sonam kapoor and many other celebs have been spotted wearing this. If you want to sport this trend start off by using your re sizable bracelet around your palm. 6. 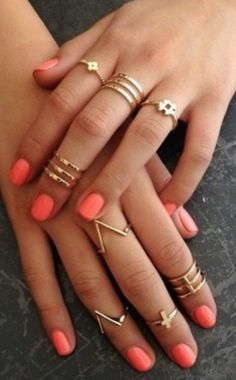 Midi Rings : Midi rings are basically rings worn on top or below the knuckle. These rings are best worn stacked , one or two on each finger. It is important to get the size right with these rings so it is best to buy these offline. 7. Ear Cuffs: Celebs are are rocking them and these cuffs are here to stay. If you havent got yours yet go get them now. These cuffs are available online for as cheap at 400 a pair. Invest in one and discover an effortless way to stand out. 8. Shoe chains : Cant afford new shoes? Dont worry, even if you dont have place for anymore shoes ? 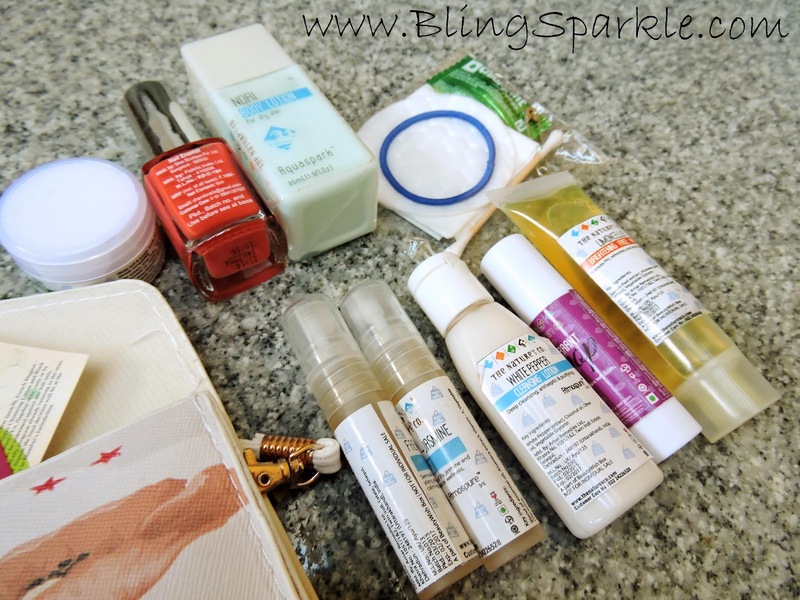 just buy these shoe accessories and give your old shoes a make over ! 9. 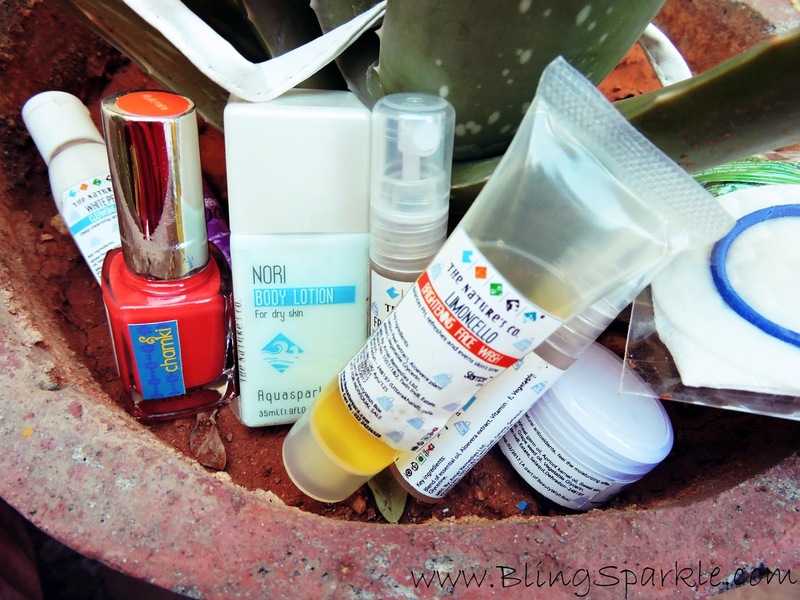 Nail Rings : So those time consuming nail arts arent your thing? you can still turn the spotligt on your nails all thanks to the all new nail rings. 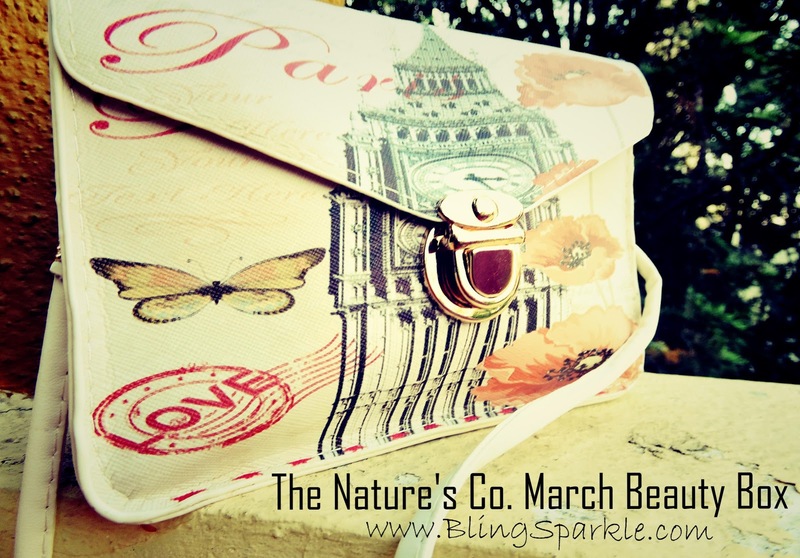 They look super chic and are available in a wide variety of colours, sizes and designs. They ay come across as a little uncomfortable in the beginiing but when you have worn it twice you will love the ease of this trend. Make sure you get the right fit or your nail rings may fall off. 10.Armlet or an arm cuff : bands worn around the arm isnt anything new especially to south India. The bride wears it but now you have simple funky arm bands which can be worn by anyone. 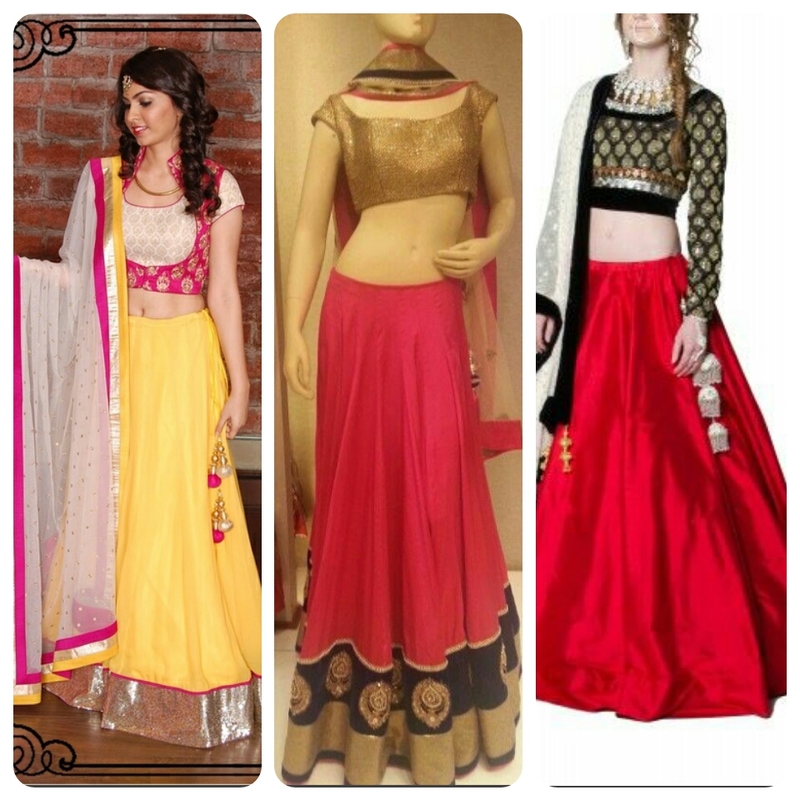 just get one in gold and jazz up your party look. So which trend are you looking forward to try first? Iam crushing the nail rings! 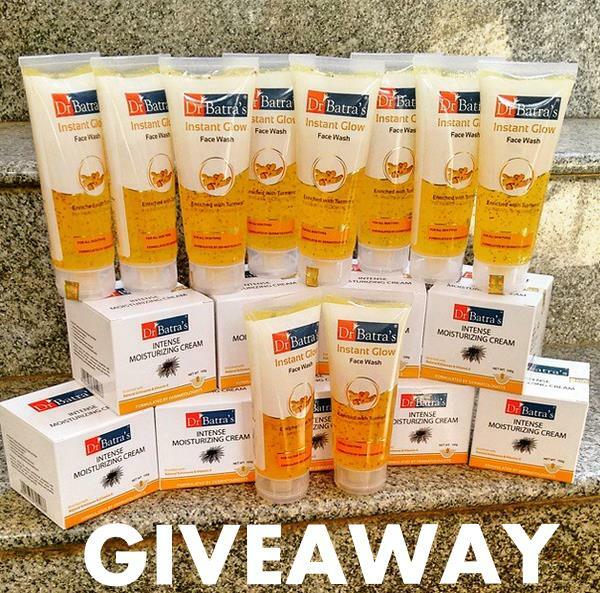 Summer Giveaway ~ Nine Dr Batra's Skin Care Hampers Up For Grabs! Guess what we are giving away this time? 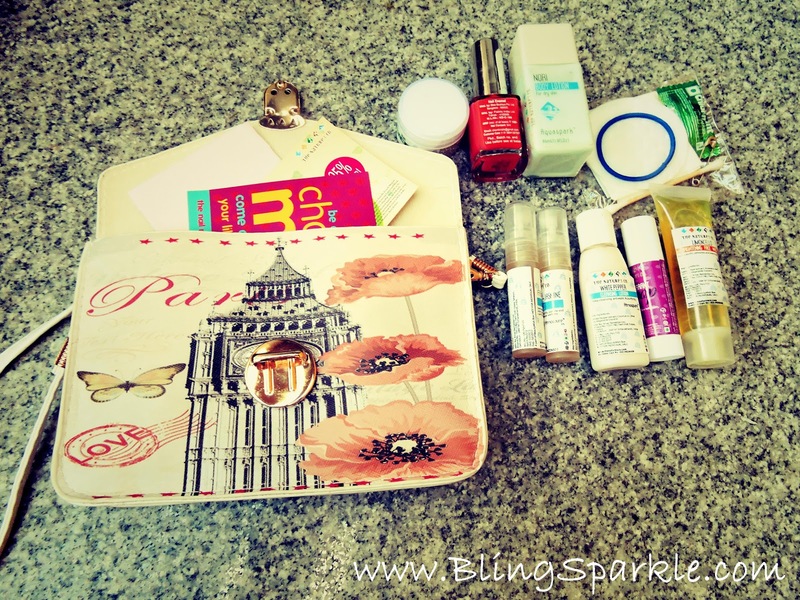 Nine, yes, NINE hampers to make sure your skin is protected and pampered this summer! Dr Batras is one of the leading cosmetic brands which has launched many products which have come as a blessing to their consumers. 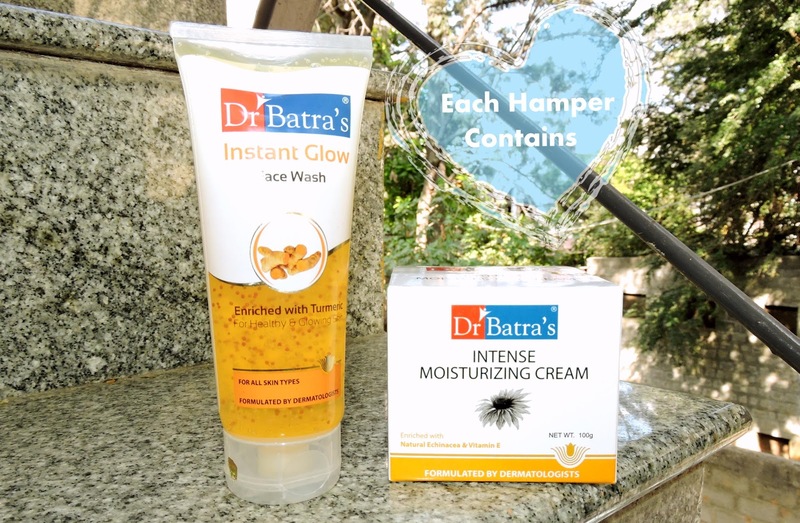 Each hamper will contain an Instant glow face wash and an Intense moisturizing cream by DrBatra's skin care. The giveaway is very simple. Please read the rules before participating. 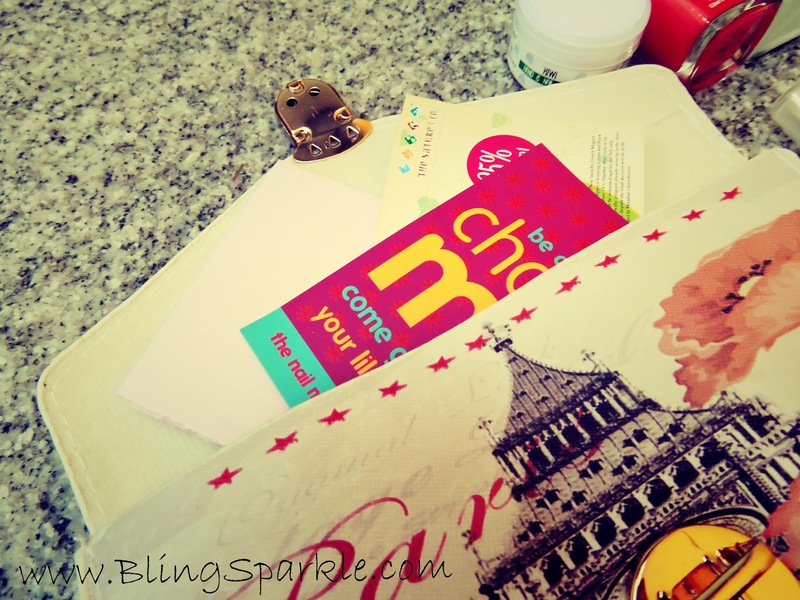 It is a Rafflecopter giveaway, hence the winners will be picked out through a random draw. If you are lucky, you can be one of the nine winners!